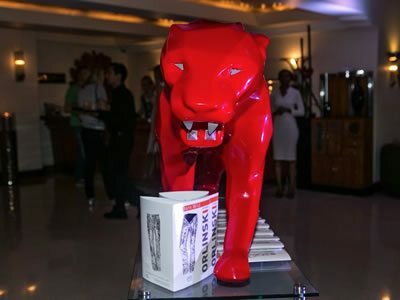 International sculptor, Richard Orlinksi, showcased his “Born Wild” Collection at his Art Basel installation at The National Hotel. Amidst the red sculptured jungle creatures around the lobby, was Markus & & Indrani’s fashion photography portraits. Most recognized for their iconic music albums covers such as Beyonce’s “Dangerously in love”, their photography hung from the Mezzanine Level of the Lobby as spectators enter into a world of pop culture and fierce visuals. French PHOTO Magazine partnered up with photography duo, Markus & Koala, to capture rising supermodel, Nina Agdal, posing atop clear blue waters in a gold bikini dazzled with pearls. 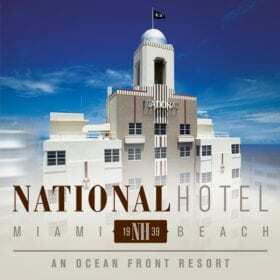 Check out this article that showcases international talent at The National Hotel. This entry was posted in Events and tagged Brooklyn, Fashion, Style, Women.